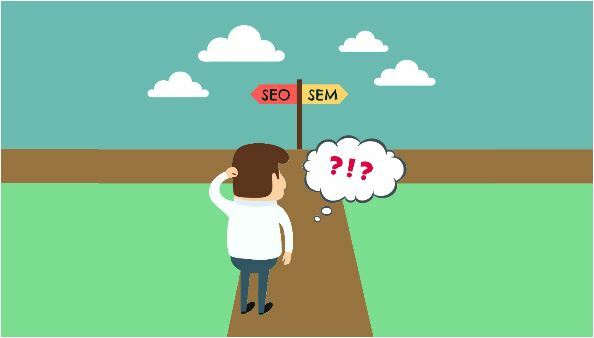 SEO versus SEM – Which Is Better? The emergence of the Internet has changed the basics of business from the root. Anyone who wants to stay and survive in the “cruel” business world has to follow the trends and adapt to them. The client remains the priority, but we have to know that their needs are now more prominent and that they have generally become much more demanding. It’s not enough to offer them a good product, up to now unseen additional services or excellent customer support. Besides all the mentioned things, you have to use the advantages of Internet and provide an “all-inclusive” experience to potential customers or users of your services. 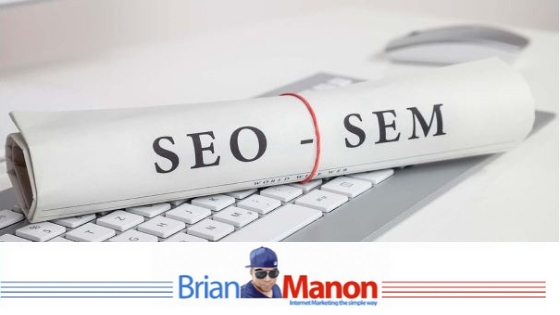 SEO and SEM are techniques used by experienced participants on the market. For beginners, they may look like the same thing; although they have the same goal, and that is increasing the visibility among so many online content and a number of visits to your website, these two terms differ in several ways. The central part of your Internet presentation is a website, which is something like your business ID in the online world. Around it, every company should build all other elements necessary for business improvement. The goal of a successful SEO (Search Engine Optimization) is to achieve a high ranking on the search engines results. Internet users usually won’t list the results pages. In translation, the goal is to reach the first, possibly the second page of any search engine, to achieve better traffic to your site. After the ingenious online start, you have to continue breaking-through with other Internet marketing tactics, like the creation of excellent content, the use of keywords that will highlight you in searches, but also internal and external link building. SEM is a marketing process that also aims to increase visibility on search engines. Although they use different ways to generate traffic, it can be said that SEO is actually a part of SEM. SEO is just one way to accomplish the top of the search result, through free visibility or paid traffic (paid advertising) that forms the basis of SEM. These are mostly the first search results or banners on the side. So, a company pays to get there. And how much is that? As much as you want. In principle, there is a minimum cost per click, and the company itself determines how many clicks they are willing to pay. On the other hand, proper use of these techniques may require some initial investments. However, when traffic to your site becomes organic, promotion of your business becomes almost free. Users who like what you offer will share your own links on other web pages, forums, and even social networks, as a kind of recommendation. SEM traffic is considered the most relevant source of Internet traffic because it targets a particular market segment. People use search engines and click on all kinds of ads to find a solution to their problem or answer a specific question. The success of an online promotional campaign is measured by the number of visits to your website. While it’s difficult to find out these statistics for SEO, using the SEM can reveal you, at any time, the number of visitors (following the number of clicks on links and banners, for example). Basically, the SEM immediately delivers results, but costs are higher; SEO requires less investment, but more time for planning and use of allowed techniques, to be “in mercy” of search engines. You just have to offer something extraordinary, according to the rules of browsers and to be patient about results. SEM and SEO optimization of a website should be a priority because you and your company get value only when it starts to get visitors. Most people have the privilege of unlimited high-speed Internet and its everyday use, so every company has the ability to reach potential clients. The question is no longer whether the Internet can help companies in the business. Its benefits have been proven and confirmed many times. The nowadays issue is how to present yourself on the online market in the best way to achieve the best possible results.